For excellent indoor and outdoor protection, the Covercraft Technalon Evolution delivers with its durable 4-layer thickness and multi-functional design. This car cover is excellent for all weather conditions, protecting your vehicle from outdoor elements as well as indoor hazards. The Evolution fabric is often imitated but never equaled. This fabric is made from high quality Kimberly Clark, and is preferred by millions of car enthusiasts. What makes this cover so unique is its 4-layer design, coupled with its excellent UV protection. It has been coined, "Sun Block for your Car". This level of UV protection is generally only found in the more expensive car covers (Weathershield HP, HD and Autobody Armor). In addition to it's excellent UV blockage, the thick 4 layers shield your car from light impacts and common car damages such as door dings, bicycles, kids, light hail, and more. A high-performance, 4-layer cover, the Covercraft Technalon Evolution is highly breathable and stands up to the test of time. An excellent, all-weather, or general protection choice. This cover has a 4-year warranty by Covercraft Industries. The Covercraft Evolution fabric by Covercraft is rated Best for UV/Sun protection and will be custom tailored to your exact vehicle specifications. This fabric can cover your car, truck, SUV, van, or specialty type vehicle. With 80,000 patterns in the database, we can certainly find a pattern that will fit your automobile like a glove. 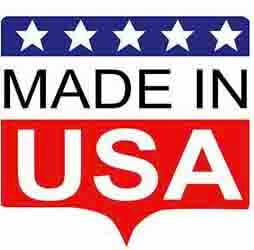 Each product is handcrafted in the USA and we guarantee a perfect fit. The Evolution fabric can also be custom fit for Convertible Top Covers, Truck Cab Covers and Cab Coolers. Try before you buy. Order a set of Covercraft Evolution (Technalon) Fabric Swatches to make sure this fabric is just what you want. Covercraft's premium custom-fit covers are custom-made by the order. Your new custom-fit car cover will be manufacturered to order in the USA exclusively for your vehicle. Manufacturing times vary at different times of the year and depend on material availablity and production volumes. 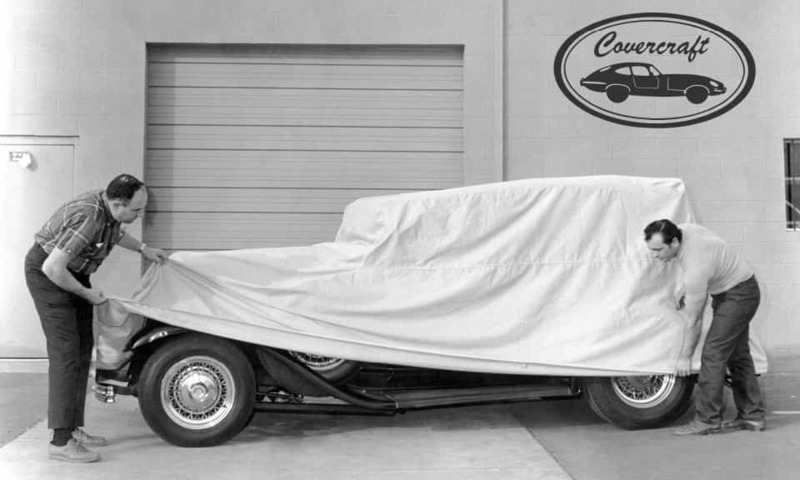 Covercraft manufactures its custom-fit car covers in Pauls Valley, OK, and has been doing so since 1965. During that time, Covercraft has worked vigorously to speed up the production time required to make the word's best car covers. Your order will be shipped directly to you from Covercraft's facility in Pauls Valley, OK.
During checkout, you'll have the opportunity to select your preferred shipping method. Shipping is free through UPS Ground, or for expedited service, choose Fedex 2-Day or Overnight shipping. Please note this applies to the shipping method only, your new cover will still require time in production prior to shipping as outlined above. For your protection, high value shipments may require a signature at time of delivery. Protection for Whatever You Drive! Covercraft Industries, LLC is a leading branded manufacturer of automotive protection products including car and truck covers, seat covers, front end masks, dashboard covers, floor mats, window sunscreens, RV covers, patio furniture covers and others. The company focuses on custom patterned products with a library that includes more than 400,000 distinct automotive patterns. Covercraft owns multiple brands including ADCO, Colgan, DashMat, GT Covers, PCI and Wolf. Licensed partnerships include Airstream, Carhartt, Ford, Tommy Bahama and Winnebago. Founded in Southern California in 1965, Covercraft is Headquartered in Pauls Valley, Oklahoma with additional manufacturing facilities in California, Colorado, Texas, Australia and Mexico. Since 1965 Covercraft has manufactured premium quality exterior and interior protection products for automotive enthusiasts, building a reputation for quality, durability and design. Started by Bob Lichtmann in a small 2-man shop in Southern California, Covercraft pioneered the market for manufacturing custom-patterned car covers for street rods, the import sports car market and aftermarket automotive parts suppliers. Today the company is the world's largest manufacturer of custom-patterned car covers. Covercraft's library of over 80,000 patterns still grows daily as they are constantly adding new applications. Covercraft's product line has expanded greatly over the years and now includes seat protectors, front-end masks (bras), dash covers, floor mats, tailgate nets, tire covers, windshield sunscreens, canine travel items and other specialty protection and storage products. Headquartered in Oklahoma, Covercraft has additional manufacturing facilities in Texas, Mexico and Australia, plus design centers located in Oklahoma, California, Arizona and Ohio. The Covercraft Team has grown to over 400 dedicated employees, certified to both ISO/TS16949:2009, a worldwide quality system standard, and ISO 14001, an environmental quality program. Many of Covercraft's employees have been with the company for nearly two decades...some even longer...and share Covercraft's emphasis on family, recruiting relatives and friends who have also chosen to join the Covercraft team. Covercraft's mission is to maintain the highest standards, utilizing the finest materials and remaining on the cutting edge of manufacturing technology ---putting "Covercraftsmanship" into every product that is made!